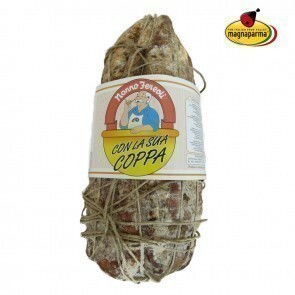 Coppa is a typical cold cut made from the upper portion of the neck of the pig and a portion of the shoulder. 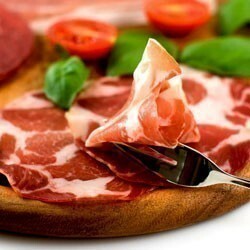 Its processed, trimmed, and cured by hand, as by tradition. Its aroma? Delicate and irresistible. 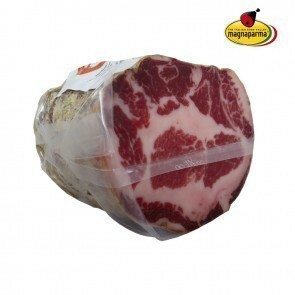 It is supple and tasty to the palate, with a good full flavor that is unforgettable. 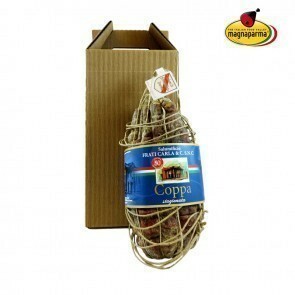 Coppa di Parma is perfect for an aperitif or a delicious appetizer, along with other typical cold cuts from Parma and the surrounding areas, such as Culatello (made from the hind thigh of the pig) and Local Salami (locally produced salami). An ideal wine? 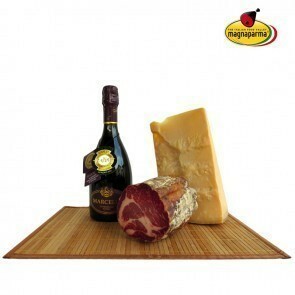 A good Lambrusco with a sparkling foam or a Fortana.